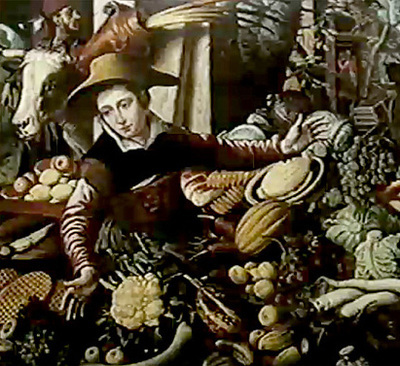 In his film Still Life Harun Farocki connects the contemporary advertising of consumer objects to the 17th century Flemish tradition of still life painting. Weaving together scenes from shoots advertising cheese, watches and beer, juxtaposed with 17th century still life paintings, Farocki explores the similarities and differences between these two image making traditions. As the final film in the series, Still Life gets at the essential question of the series’ theme: how do we photograph objects? The program will be introduced by Barton Byg, Professor of German at the University of Massachusetts, Amherst. Mr. Byg is currently teaching a course on Brecht and World Cinema at Hampshire College, which he has dedicated to the memory of Harun Farocki. We thank the Goethe Institute Boston for making this film available to us. Harun Farocki (1944-2014) was an avant-garde German filmmaker and video artist whose work examined the ways images are used to inform, instruct, persuade and propagandize. Mr. Farocki made more than 100 films, many of them short experimental documentaries that explored contemporary life, and what he saw as its myriad depredations — war, imprisonment, surveillance, capitalism — through the visual stimuli that attend them. Ruminative, but with an undercurrent of urgency born of his longstanding social engagement, Mr. Farocki’s films sought to illuminate the ways that the technology of image-making is used to shape public ideology. His work, shown on European television, has also been the subject of major exhibitions at the Museum of Modern Art in New York, the Tate Modern in London and elsewhere. 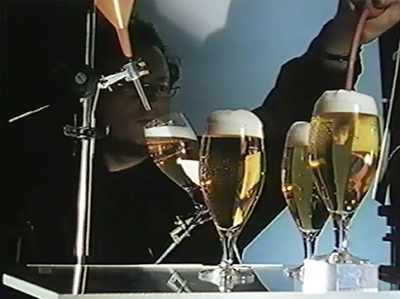 Writing about Mr. Farocki in 1992, The Los Angeles Times called him “surely one of the most challenging, speculative and distinctive filmmakers ever to confront an audience.” Mr. Farocki’s films were conspicuous assemblages, comprising found and archival footage including surveillance tapes, home movies and corporate training films. By juxtaposing such images, he sought both to highlight their curious commonalities and to put his finger on the political imperatives that lay beneath their flickering surfaces. 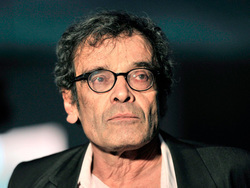 Mr. Farocki, who was deeply influenced by Bertolt Brecht and Jean-Luc Godard, studied at the German Film and Television Academy in West Berlin. He began making films — from the very beginning, they were non-narrative essays on the politics of imagery — in the mid-1960s. On the whole, Mr. Farocki’s film seemed to say, under the strains of modern life, the objects bear up better than the people do. Each spring and fall since 2013, Historic Northampton has hosted a series of four monthly film screenings featuring the work of contemporary film-makers. The fall 2015 series, Artifacts of Fixation, explores discarded objects, transformed into stimulating, moving image media. Featured filmmakers use artifacts not only as evidence, but as witness in uncovering personal histories. The filmmakers vividly project their material fixations into a virtual medium. In heartbeats for conjunction, Jeremy Johnston creates a portrait of a young man through the objects he left behind when he died at 24. Sifting through letters, photographs and many 16mm student films, Johnston accesses a man he never knew and builds an imaginary friendship. Filmmaker and photographer Abraham Ravett photographs his mother’s handkerchiefs and clothes in Tziporah to access and deal with the trauma of the Holocaust. November 15, 2015: Hope Tucker’s fifteen year-long video series The Obituary Project transforms postcards, telephone booths, X-rays and paperclips into odes to people and places who have passed. In the film Still Life, Harun Farocki connects the contemporary advertising of consumer objects to the 17th century Flemish tradition of still life painting. The series Artifacts of Fixation is curated by Magdalena Bermudez, a media-artist based in Northampton, MA.